It’s Bracket Selection Sunday for the 2015 DABWAHA! Are you ready?! It’s Bracket Selection Sunday for the 2015 DABWAHA. You have until 3/18/2014 at 12:00/noon ET to enter your picks! Click on “New” and enter your nickname. Only the Nickname will show up publicly. Click on the title of the book you will think will win each match until you have only one book left as your Champion. Note: you are not only trying to predict which book will win, but also which author/fandom/community can best gather votes to back their favorites. Yes, it’s tricky. That’s why it’s fun. The tie breaker is the number of reader nominations we received. Hint: it is under 1000. Another hint: it is higher than 2. Important note for visually impaired readers: if you’re using a screen reader and having problems with the bracket selection page, please email Sarah and I can help you complete your bracket. I can do over the phone, or we can coordinate a time via Skype, but I want you to be able to participate. Don’t be shy! Contact me, please! The Schedule for the 2015 Tournament – mark your calendars! 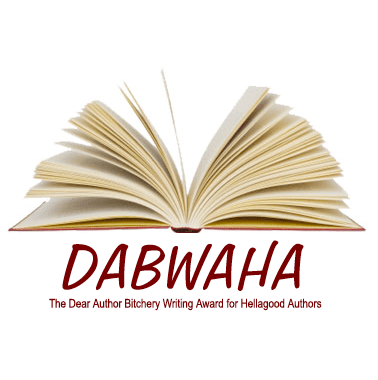 ‹ PreviousAnnouncing the 2015 Nominees! I am not sure what I am doing wrong, but I don’t see a bracket. I can select my old user name, but there is no bracket underneath. Are to still having trouble? Can I help? Is there an update bracket somewhere? I can’t find the link.